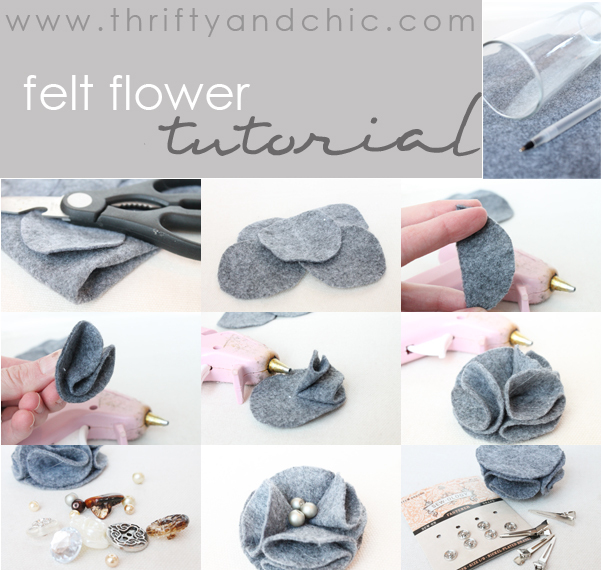 Here's the first tutorial of many for making flowers for the interchangeable headbands I posted about earlier. I know there are probably a slew of tutorials on making felt flowers, but I figure why not put my take on them out there :) These are by the far some of the simplest flowers to make. 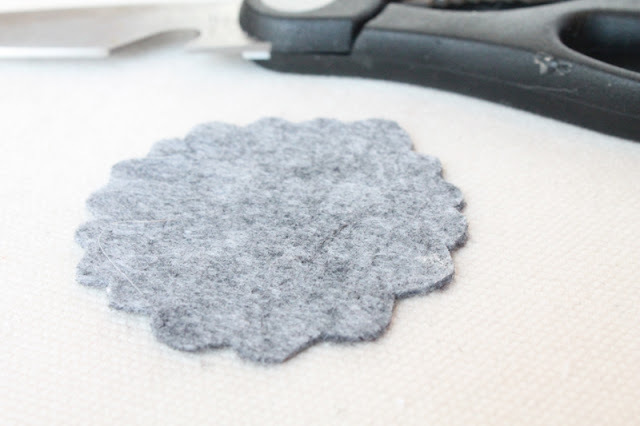 Step 1: Cut a circle on your felt. I used a glass and traced it to get a perfect circle. If you are using a lighter color felt, trace it with an erasable fabric pen or light colored pencil or else you'll see ink in your finished flower. The size of your circle will be the size of your finished flower. Step 2: Cut 4 more circles. I just placed the first circle on top of the felt that has been folded over twice to create four 'sheets'. Then cut around the first circle. Step 4: Take one circle and fold it in half. Step 5: Now fold it in half again and secure in the middle fold with some hot glue. Step 6: Hot glue onto another circle, making sure to line up with the outer edge. Step 7: Do step 4-6 with the next three circles. Step 10: Secure a clip or a snap onto the back with some hot glue. Do a snap if you want to use it with the interchangeable headband. Either way is super cute :) And since they are so easy to make, you can make a ton of them in no time at all in many different colors. Now get a cute little babe and enjoy!